Commander runs on 9-16 Sunday afternoon! Get your Conquest on! Rishi SH is now OPEN for business! Grim Determination is a PvE/PvP Guild on Satele Shan. We strive to help each other succeed and perform to the best of our abilities in both PvE and PvP. 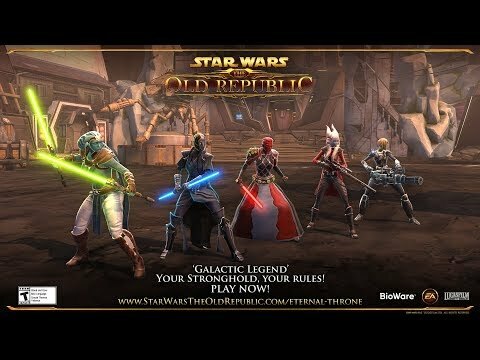 We are a group of mature, like-minded players who enjoy all aspects of SWTOR. I just wanted everyone to know that Swtor Dev Tracker has been added to Discord. <Grim Determination> is recruiting. We are one of the Oldest & Original guilds from BC. Back in Band Camp We was well known within the PvP world. We are back and we have started to rebuild from the ground up. I am opening up recruitment for all classes. I am looking for Mature, active players. Particularly active and reliable members will be promoted quickly. Leadership positions are available to motivated members who can meet my expectations. There will be a 2 week trial period to determine compatibility. Within that time there will be a short interview via Discord to explain to you what is expected of you. FYI: We do not tolerate Drama so leave that at the door. new 8v8 Vandin Huttball Warzone coming with Game Update 5.9.3 – Fame and Fortune. We’re targeting mid to late September. 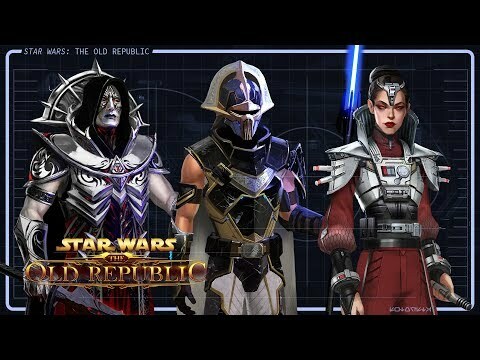 Game Update 5.10 – Jedi under Siege: Master Mode Gods from the Machine: "most difficult Boss fights ever experienced". As most of you know, Mourne has been working hard on his career and is spending a bit more time with his family. He was having a hard time logging in regularly. Ordinarily this would be a guild meeting sort of thing but I figured alot of people will want to be in the loop on what's going on, hence a forum post. We talked last night about it and I'll be steering the ship for the foreseeable future. Most importantly, I'll take the opportunity to say thanks Slavish, Aztrak, Pichael, Mesteria, Clyes and all the people who are still logging on and supporting their fellow grims. It's been a bit tough lately with our numbers being so low - a lone grim is an easy and juicy target to those premades out there. Rather than clutter up the front page billboard, I've started a forum post to talk about it and get everyone up to speed.. (Members only> Member Discussion>Changing of the guard.) Please comment, give ideas, bring up anything that you think needs bringing up. The guild trivia contest is returning this weekend, 6/30, and will be running until next weekend, 7/7. Stay tuned for contest rules. BIG prizes await the winners! Grim Determination has reached a new record of 250 registered users today! Mesteria Mourne has outdone himself on the Guild Rishi Strong Hold!! The Sky Deck is set for cracking heads. Check it out!! Recruitment is open again to all applicants. Apply within from the Recruitment link at the top of the page. Help GD pay for this site! Help pay for this website! You can prepay or add FREE premium days! It would be much appreciated!